Creating new users is easy. From the Dashboard, go to Members > Add User and fill in the User Information as prompted. Several options are available when creating a user. 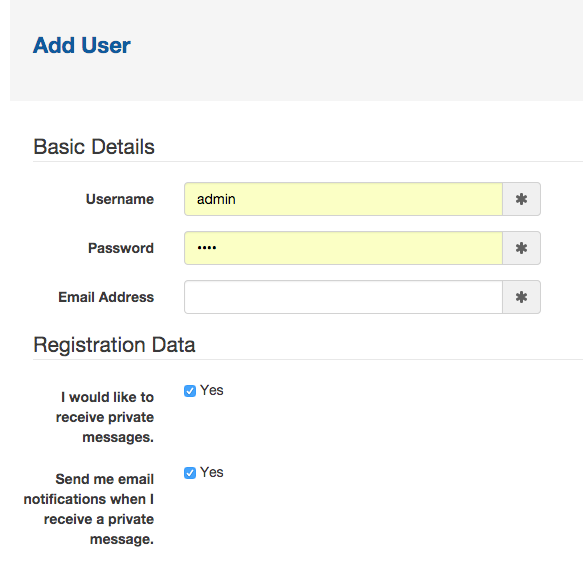 The admin can not only set a user's username, password and email address, but can also select which groups to place the user into, choose a user avatar, and set custom user attributes. An administrator may instead choose to leave these attributes blank and let users themselves fill them in later upon login (for required attributes) or via the user's profile page.